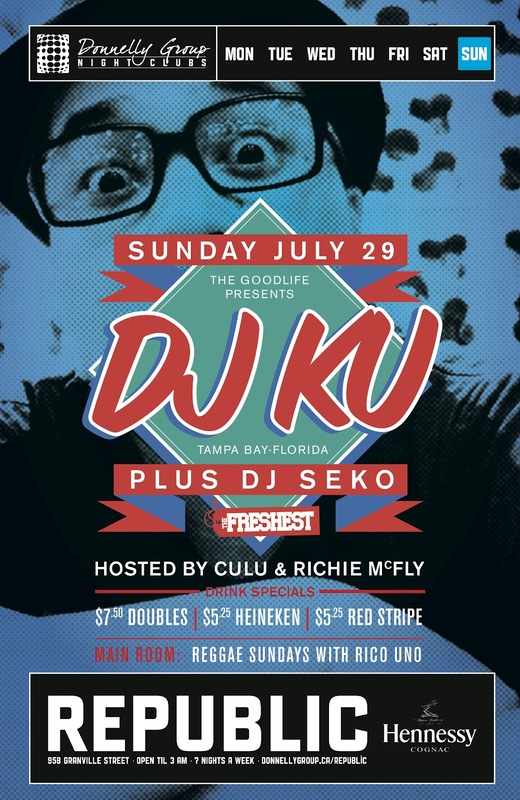 :: THE FRESHEST ::: DJ KU @ GOODLIFE SUNDAY! DJ KU @ GOODLIFE SUNDAY! It's rare that we have guests at Goodlife Sunday but when we do they are dope! Reppin Tampa, FL the homie DJ Ku is no exception. He will join forces with Seko on July 29th to do the damn thing. As always Rico Uno will be holding down the main room in a dancehall styleee.